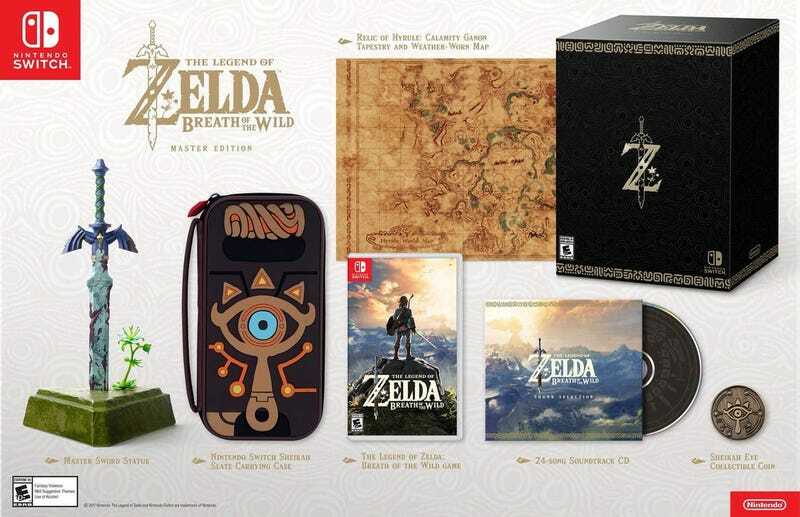 Legend of Zelda: Breath of the Wild is getting a collector’s edition for Switch. This will probably be pretty limited. You can grab it here when it goes up! It comes in two versions - a Master Edition with the master sword statute, and a special edition with the rest of the contents excluding the statue. It’s not clear to me that there will be a version for Wii U or not - both versions picture Switch box art.